東京ドイツ村 – Doitsu Mura, a German Village themed location in the heart of Sodegaura, Chiba, Japan. Typically you’d come here if you happen to be a fan of all things Germany; bratwurst, sauerkraut, perhaps lederhosen…but if you were there on June 8th, 2014, you were there because you’re part of a special family. A family that has, over the past year or two, has grown immensely in both participation and global recognition. The majority starting years ago in events like Battle Evome, but are now looking for new venues to experience their passion in. The active members in the Attack scene in Japan, for the first time, came together to have a meeting to celebrate their style of life. 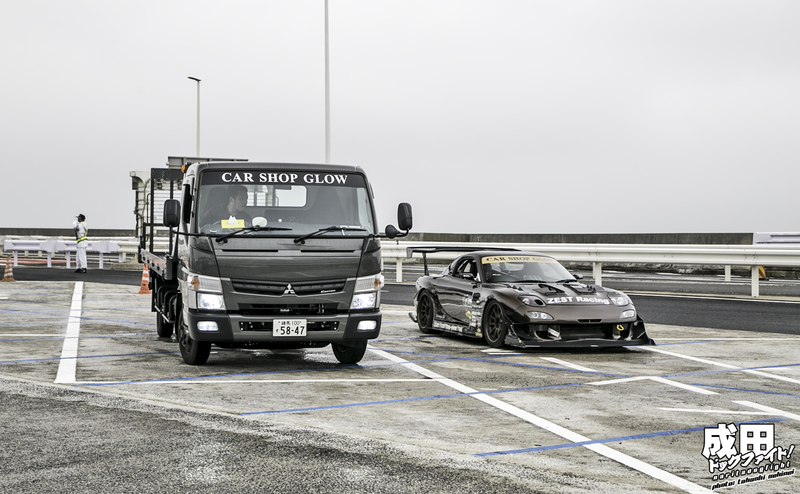 Hara-san and Car Shop Glow played a big part in organizing the event partially due to the fact that his FD was featured in two magazines this year; Import Tuner and Option2. That wasn’t the only reason for the gathering though, as it was also to celebrate Kaji-san’s birthday. Kaji is a photographer for Option2 and has helped get Attack in the pages of the popular Japanese publication, and as you’d guess, friends of many of the drivers. Meeting up at a PA on the Kawasaki side of the Aqualine, they pulled over for a little something special. If you don’t know, Sekinei runs the CPK Facebook page, and organizes monthly meetings to get rolling shots on the K6 line. 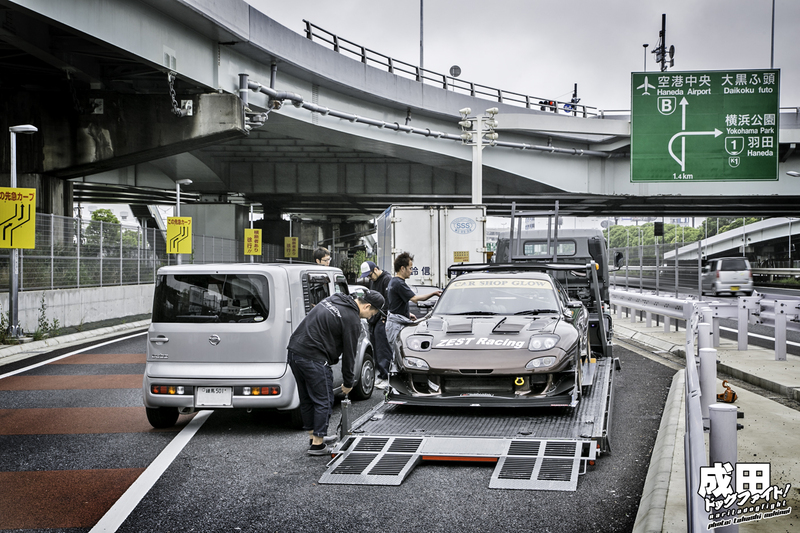 Taking advantage of the fact that they would be going through the Aqualine, Hara dropped the FD off the trailer for a little CPK session on the way to Chiba. CSG featuring Cube support vehicle. CPK6 is getting pretty serious, and as the number of participants grow, the pressure of Sekinei to get good shots rises (笑). Breaching the tunnel of the Aqualine. 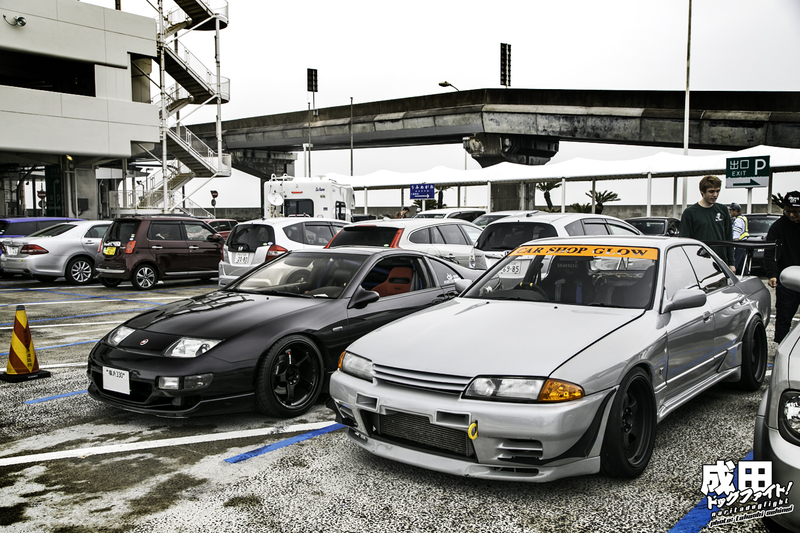 Since Hara was driving his FD, a coworker of his took the wheel of his R32 which he also brought out for the meet. 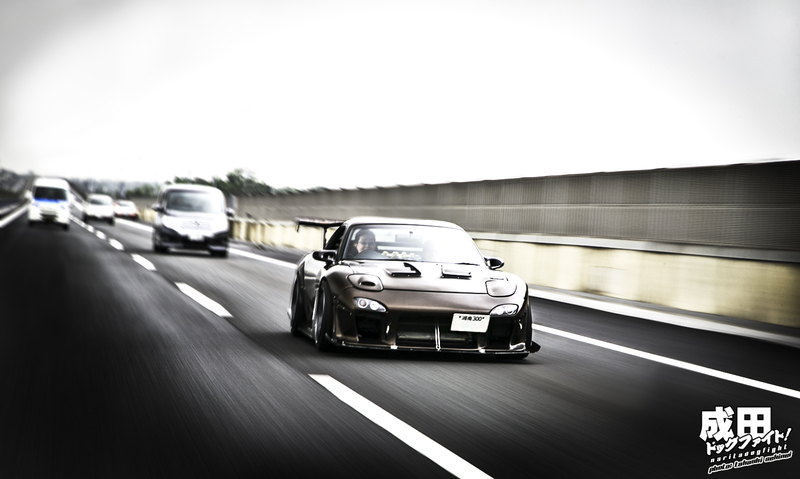 You probably guessed it, but FD is for Attack, 32 is for drift. The yellow tint of the tunnel lights casting a warm glow on the FD as it cruised through crisp Summer air. 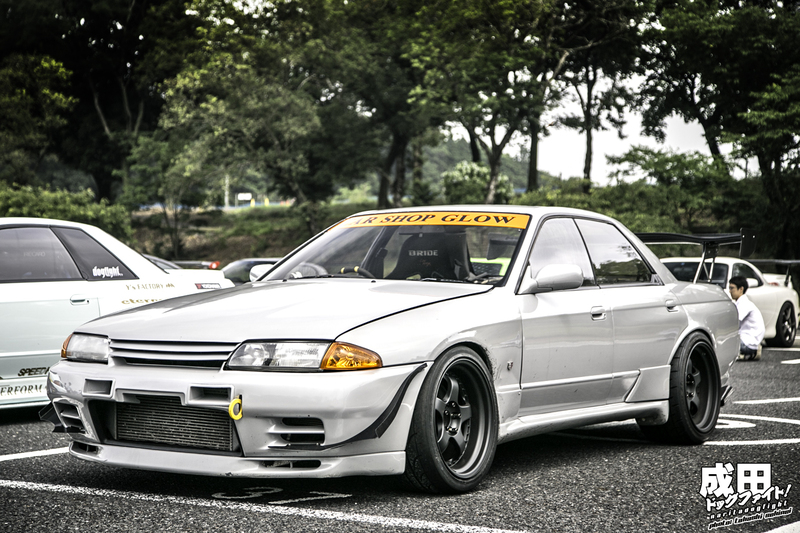 With the R32 in tow, the 9 kilometers of the tunnel passed by quickly and they were soon at Umihotaru’s entrance. 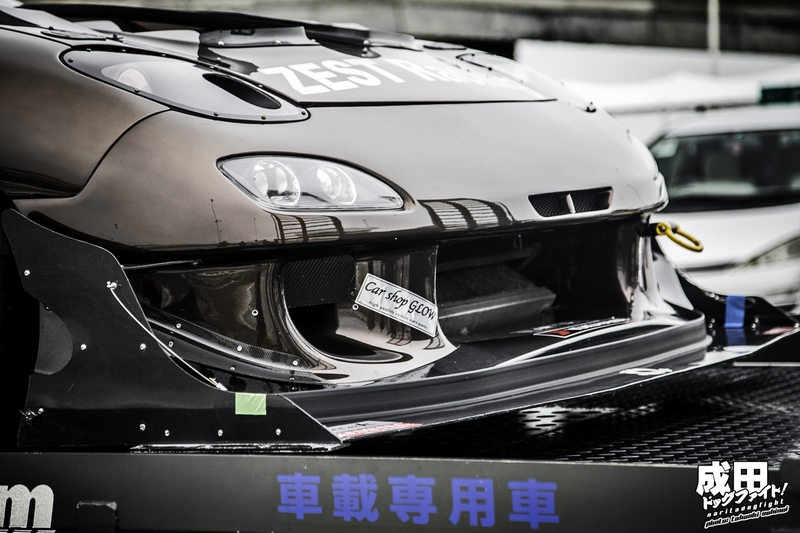 A quick break, and then it was time to load the FD back onto the transport for the rest of the way to Doitsu Mura. Backing up onto the transport, a bit of sunlight peaked through the clouds to reveal the true look of the custom CSG brown paint on the FD. 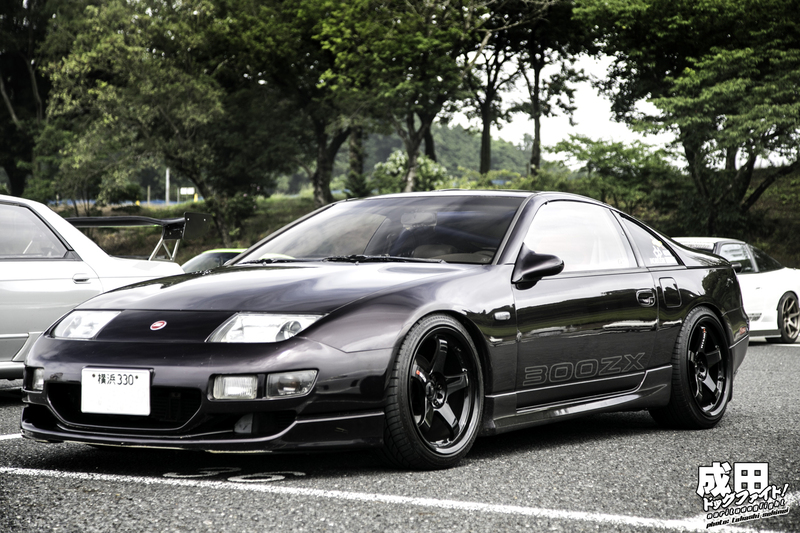 Closer look at the front end sans the secondary canards. They must be taken off for transport or it will be too wide to fit. 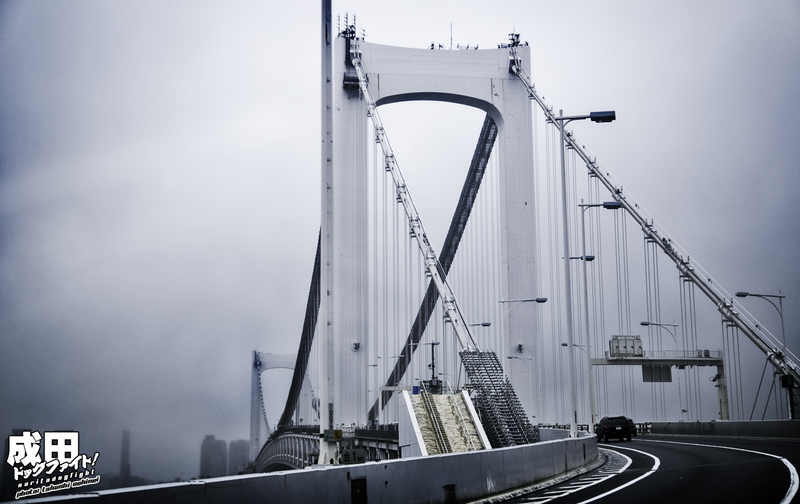 Hara’s friend joined them at Umihotaru for the rest of the journey. 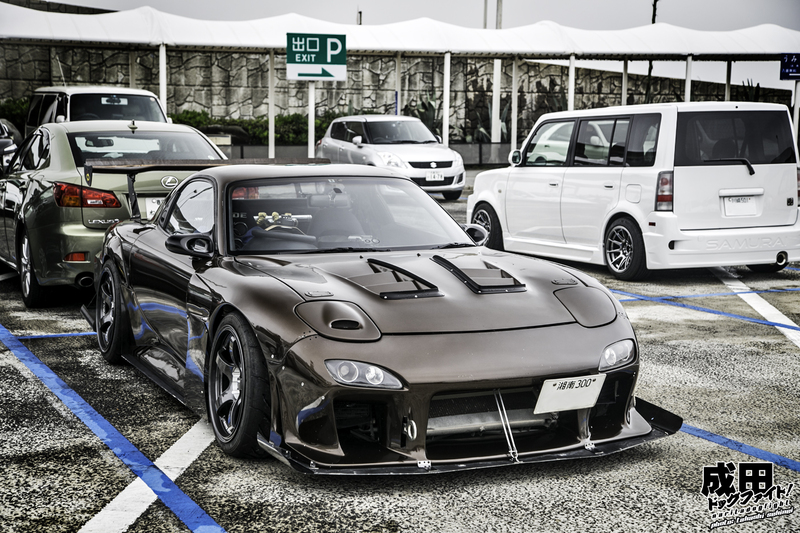 Most likely the only other FD with this color; as he’s Hara’s biggest fan haha. With the car loaded up it was time to head to Sodegaura. 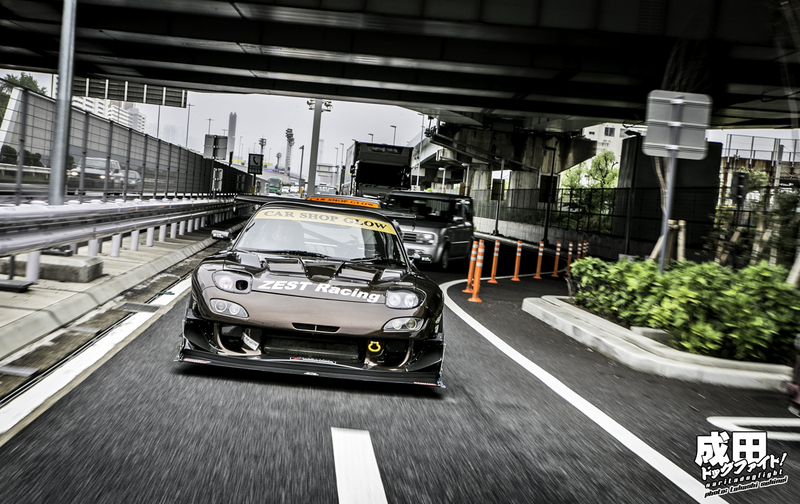 If you like these rolling shots, head to the wallpaper page for a hi-res shot. …which I’m going to have to save for tomorrow because I ran out of time posting this! Please look forward to it.